With what problems of the skin is GREEN PEEL® successfully used? GREEN PEEL® - Herbal Deep Peeling Treatment consists of a blend of natural herbs. In contrast to other exfoliating creams it does not contain any chemicals or synthetic peeling agents. It is perfectly safe and has no side effects. If the herbal preparation should inadvertently come into contact with the eyes, it will not cause them to sting or water. It does not keep you away from your activities, other peelings do. The success of the herbal Deep Peeling Treatment can be compared to the results of chemical peelings, the abrasion of the skin, or lenghty application of Vitamin A Acid (Retin-A) preparation. 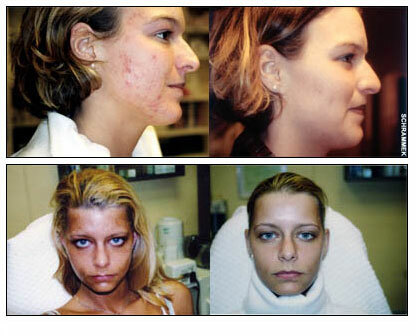 GREEN PEEL® is superior to these other methods because it is a natural product. Three to four days later the old skin comes off. Until then you can work normally and should not need to take time off. On the 4th or 5th day a follow up treatment takes place. The beauty therapist will, if necessary massage away any old skin and use a rich active preparation on the new skin which is now very absorbent. 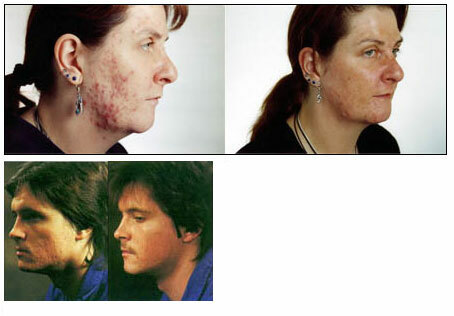 There is no redness in the new skin, the complexion is considerably improved, fresh, clear and younger.